It’s a fact of life. It’s a fact of teaching. Young children are easily distracted. Recess was one of the first breakthroughs in giving schoolchildren an outlet for energy. More recently, Bouncy Bands were developed by a primary school counselor as an outlet for hyperactivity by allowing students to move their feet discretely and quietly. The latest breakthrough in classroom management? Flexible classroom seating. Teachers from New Jersey to the New York Island to the Gulf Stream waters are experimenting with using classroom beanbag chairs, bouncy chairs and carpets instead of traditional plastic seating. Teachers and students alike are impressed with the increased participation and decreased behavior problems that a flexible arrangement provides. David Browne, an eighth-grade science teacher recently grant money to switch out boring plastic seating for couches, exercise balls and classroom bean bag chairs. He also did out with assigned seating, forcing students to rush into his classroom as quickly as they can to secure their favorite spot. The results? Students are more comfortable. Tardiness has gone down. Participation has gone up. Students are more engaged during group work time. Seems like implementing a flexible classroom seating arrangement was grant money well spent. Young children spend about 85 percent of their time at school sitting. Add that with the seemingly endless energy that children have, and you have a recipe for disaster. Bouncy Bands, wobble chairs and classroom bean bag chairs can provide an outlet for this energy. Yourclassroom environment can affect your students’ progress by 25 percent annually. Providing students with options promotes movement and encourages creativity. And, because students aren’t assigned to one particular part of the room, they are able to interact more with other students during group work. Students who aren’t usually motivated to read are drawn to reading corners that have yoga balls and bouncy chairs. Students that don’t usually participate are drawn into the action. Distractions go down, participation goes up and collaboration is encouraged. Many teachers see a significant drop in behavioral problems. One teacher in particular set up a system where she allowed each student choose their seat at the beginning of the day by placing their clothespin on her seating chart. This gives your students some agency, and provides them with a sense of control. Students are encouraged to behave to keep from losing their favorite seat. Flexible classroom seating is your secret weapon in classroom management. Improving your classroom management strategy is as easy as getting a couple yoga balls and classroom bean bag chairs. Make your classroom environment fun, and give your students an outlet for their energy. 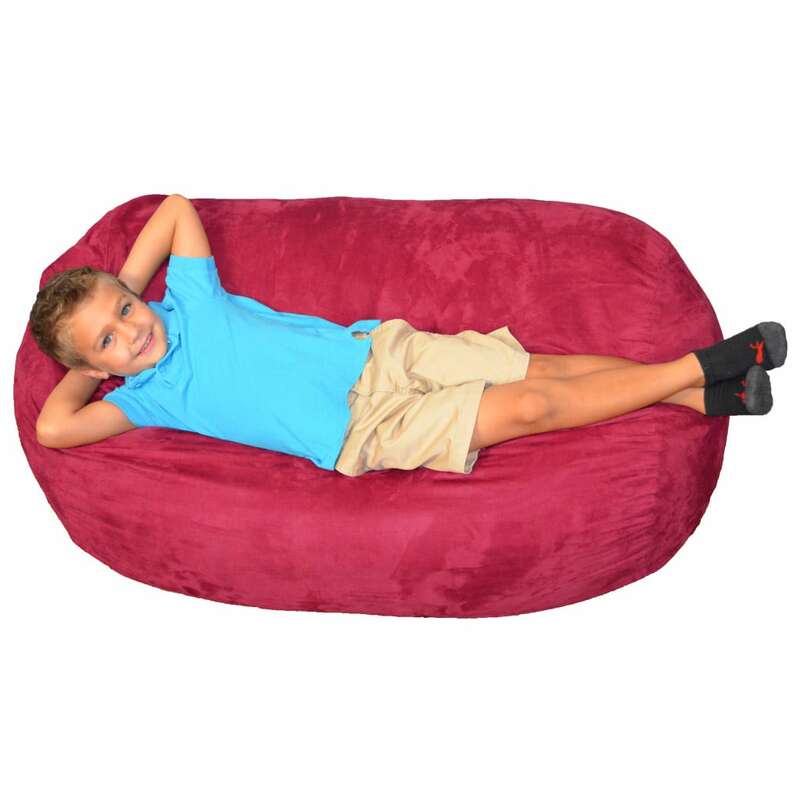 Take a look at Comfy Sack’s premium quality classroom bean bag chairs today!